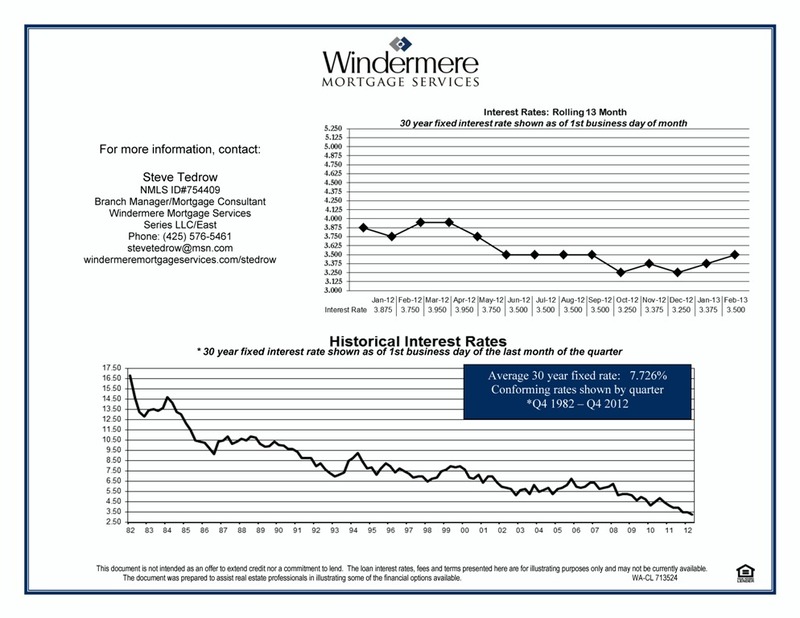 Buyers, Interest Rates Are Hot! After I wrote my last post on the state of the Seattle eastside real estate market, I felt it important to remind buyers that even though it's a seller's market, Interest rates are hot! Interest rates are on your side. 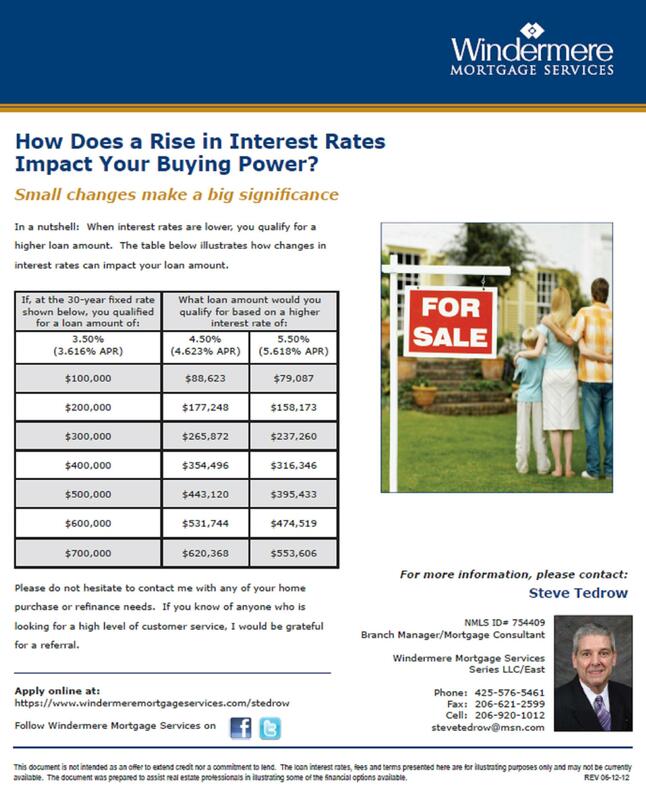 Prices are starting to increase, while interest rates are still on the incredibly low side. It's a recipe that calls for action, for not sitting on the fence and for making a move. Literally. Did Condo Prices Drop on Seattle’s Eastside in August, 2012? Even though the news media said condo prices were down in King County, they appear to be holding steady in the Seattle's eastside cities of Bellevue, Redmond, Kirkland, etc, when compared to August 2011 pricing. This is good news for condo sellers who have gotten beaten up by pricing in the last few years. With the low supply of condos for sale, prices are no longer declining, and, in fact, they may begin rising. In June, July, and August, prices on the eastside did increase, which brought us back to the pricing in the middle of last year. Unfortunately, prices did drop last fall through the early spring of this year, but we have now caught up to the prices we had in mid-2011. It appears that market pricing is holding steady now and has increased in the last few months. Condo sales numbers are actually not much higher than August, 2011 when 194 condos sold. This year, 201 condos sold in August. Because there's about half the number of condos for sale this year than in 2011, the percentage of those that sold, the absorption rate, skyrocketed. Last year, 19% of the condos sold and this year, 43% sold. Time on the market has also dropped to an average of 68 days to sell vs.116 days in August of 2011. So what does this all mean if you are thinking of selling or have your condo on the market? If your condo takes a long time to sell, then it is either overpriced or is not marketed well. Make sure your condo has great online photos to start. Staging can also be a big plus. Good pricing and great photos are the two most critical marketing pieces to getting your condo sold. Remember this is how buyers and other agents "see" your home first, so the pricing and online marketing are crucial to getting buyers through the door to actually see your condo and make an offer to buy it. What does this all mean if you are a condo buyer? With the pattern of price increases, this means we're past the bottom of the market pricing. This may be the time to make a purchase. With the short supply, pricing could continue to increase. Remember, too, that interest rates are still incredibly low. Don't forget to check the financial viablity of an condo association you're thinking of buying into. In a blog post I wrote a few months ago, I listed some of the important things to look for when checking condos out. The post looks at the issue from the seller's point of view, but these issues should be important to any buyer. Fortunately for the buyer, the law requires a seller to provide the answers in the form of a resale certificate which is reviewed as one of the conditions of an offer. Which Eastside City had the Fastest Selling Homes In October, 2011? The odds of selling a home in the Redmond and East Bellevue areas stood at 30%, which also was the strongest absorption rate to be found on the eastside. * Chances of selling ranged from 19-26% in the other eastside cities. The Redmond and East Bellevue area near Microsoft comes out on top for market time and a higher absorption rate because of more affordable housing, good jobs, an easier commute and good schools. With the main Microsoft campus in Redmond right on the Bellevue line, there are lots of jobs right there. In addition, there’s easier freeway and bus access to Seattle than in the outlying suburbs. The higher price point in West Bellevue means fewer buyers can afford to live there. Affordability issues increase the market time. Longer market time here is a function of pricing, not desirability. West Bellevue is considered to be one of the best locations on the eastside. Two of the areas had an increase in the median pricing, Redmond and East Bellevue and Redmond and Education Hill. Changes in median pricing, however, need to be looked at over a period of months since the median price for this month reflects the sales for this month only. Why is market time important? It’s one indication of the desirability and affordability of an area. Both are key to future growth and appreciation. People like to live in convenient areas with good schools and affordable housing. The cities below are grouped together to follow our MLS areas (multiple listing service) and shows how our statistical information is reported. How did your city do this past month? Which Seattle-eastside city had the fastest selling homes in October, 2011? Median sales price increased (y-o-y)** to $435,000 from $427,000. The odds of selling a home were 26%. Median price decreased from $592,000 to $501,000. 234 homes were for sale. Median pricing increased from $541,000 to $580,000. 321 homes were for sale. A total of 62 homes sold. Median price was down from $377,000 to $370,000. 540 homes were for sale. A total of 117 homes sold. Median price decreased from $580,000 to $500,000. 338 homes were for sale. A total of 81 homes sold. Median sales price decreased from $500,000 to $460,000. There were 650 homes for sale. Median pricing decreased from $985,000 to $878,000. 128 homes were for sale. A total of 31 homes sold. Is It Time to Buy or Refinance? It’s hard to believe that rates are as low as they are these days. If you’re not buying, think about refinancing your home. I just refinanced my home with a 7 year arm for 3.1%! It lowered our monthly payments by $300. An adjustable mortgage may not work for everyone, but with fixed rates in the low 4% range, there’s a huge savings that can be had there, too. Buying or refinancing a home or condo now is not for everyone. Unfortunately, some people may not want to or are not in a great position right now to do either. But if it something you’re considering, then check out what the payback would be based on the number of years you might stay in your home. If you plan to be in your home for a while, it could very well be worth refinancing. Talk to a mortgage professional you trust to help you decide if it’s worth taking advantage of these great rates. Should Buyers Be Required to Put 20% Down to Get The Best Rates for a Home? How does the government fix the mortgage meltdown mess to ensure nothing like this happens again? As federal regulators wrestle with setting the definition of a qualified residential mortgage (QRM)–which under the Dodd-Frank Wall Street Reform Act would be exempt from risk-retention rules–a bi-partisan group of U.S. House and Senate lawmakers urged regulators not to be rigid in setting the rules. Some people might think a large down payment provides more insurance that a buyer can handle the mortgage. After all, if the buyer had the discipline to save a significant amount of money, then the buyer should have the discipline to make mortgage payments. This is true, discipline is required to save a substantial down payment. But was the lack of a 20% down payment the main source of failed mortgages and the housing meltdown? Mortgage default is not related as much to a high monthly payment, but to the depreciation of home values and higher unemployment. A report released by the Boston Fed last week found that home price depreciation is a leading cause of mortgage default, challenging common arguments that attribute rising delinquencies to unaffordable mortgage payments. The economists estimated that a 10 percentage-point increase in the debt-to-income ratio increases the probability of 90-day delinquency by just seven to 11 percent. Conversely, a one percentage-point increase in unemployment rate raises this probability by 10-20 percent, and a 10 percent fall in house prices raises it by more than half. Mortgage rate and down payment should be based on someone’s overall creditworthiness: credit history, income, employment history, and existing debt. What happens to those who wish to buy a home, but don’t have the down payment? Federal regulators have proposed a rule that would require most borrowers to come up with a 20% down payment on a home purchase. Buyers with less than 20% to put down would have to choose between higher fees and rates — up to 3 percentage points more — compared with folks who have the 20% or a 16-year delay while they save up the necessary down payment. That’s how long it would take the typical American family to save enough money for a 20% down payment and closing costs, according to estimates of 2010 median income and home prices from the NATIONAL ASSOCIATION OF REALTORS® and the 2010 national savings rate. When I read the excerpts from these other blogs, I’m seeing declining house values, unemployment, and bad underwriting as the causes for the financial meltdown. My vote goes to bad underwriting as the main culprit. I’m not seeing a low down payment as the culprit. Everyone knows that changes are still needed for our financing rules, but is the 20% down payment the answer? If you think, no, then please alert your congressional representatives in Washington. A 3.8% Sales Tax when selling a home? My client had heard about this from a friend last week. He emailed me the other to day ask if the health care bill included a 3.8% sales tax when selling a home. I was pretty sure this was not exactly right, but thought I should check this out and clear the air. Apparently, it’s a common question or misconception. Courtney Cooper Jacobs had been asked the same thing by one of her clients. She did some research and linked to Matt Stigliano’s blog, which did a great explanation of the future tax with some real world examples. Yes, Virginia there will be a new tax but only for a “chosen” few. But no, it’s not a sales tax on real estate. It’s a Medicare tax and only applies to certain people and homes. Most home sellers will not pay any additional tax. Those that pay are the fortunate people who are high earners and have also made a killing on the sale of their home. And, if there is a tax that applies, it will only be a small percentage of the sales price. With that in mind, a 3.8% Medicare tax on the sales of a $400,000 home would be $15,200, which is a lot of money to pay in tax. This is where many people’s calculations have gone astray however, as the real estate “sales tax” is not on the entire amount of the sale. Instead it is on the amount of income that exceeds the capital gains threshold ($500,000 for married couples filing jointly, $250,000 for single filers). The income requirements are clearly spelled out in order to define “high earners” – $250,000 for married couple filing jointly, $125,000 for couples filing separate returns, and $200,000 for everyone else. If your income is above these levels, you will be paying a new tax on investment income. If it falls below that, you will not be taxed. 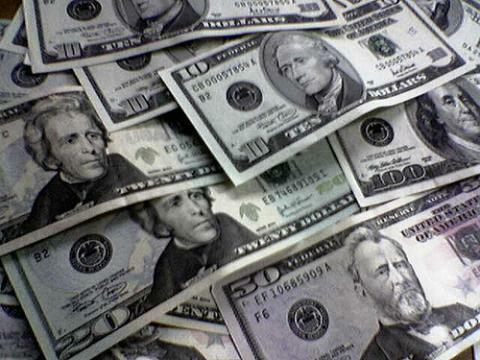 This medicare tax does not go into effect until 2013. So I hope this clears the air for you. It’s really not as bad as may people have been lead to believe. Want to Save Money on Your Mortgage? Twenty percent of the country is having financial difficulties with job and home losses, according to Greg Heberlein, the financial commentator at KPLU. The news has been so focused on the difficult economic situation and in real estate on short sales, foreclosures, declining home values. What about the other 80%? We often forget about what’s happening with the other 80% of the population. These people need to think wisely and make some solid financial decisions. If you own a home, Greg Heberlein recommends making an additional mortgage payment each year. You can drastically cut down the time you’re paying your mortgage, PLUS save a lot of money. We’ve heard this before, but it hasn’t been mentioned in a long time. It’s good financial advice. One payment a year can lower a 30 year fixed mortgage by as much as 8 years. One payment a year can lower a 15 year fixed mortgage by almost 5 years. Despite the tax deduction, you’re still better off being as debt-free as possible. The last 3-6 years of a mortgage payment have such a small interest amount, it often doesn’t allow for a deduction anyway. 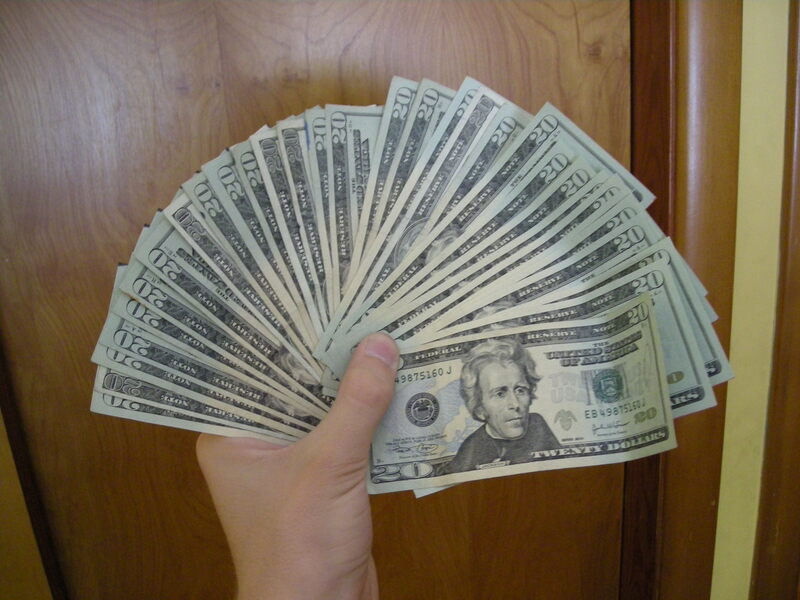 By being as debt-free as possible, it increases one’s cash flow. Should You Consider The FHA ARM Loan? An FHA ARM loan? With such great 30 year fixed rates? In this day and age of great interest rates, few home buyers think of purchasing a home with an ARM (Adjustable Rate Mortgage) loan. Steve Tedrow of Windermere Mortgage Services talks about why he thinks the FHA ARM loan works for some buyers. There is much negative publicity about ARM loans. But, did you know that the FHA 5 year ARM has many advantages which could enable a buyer to buy more or save more in their monthly payment. 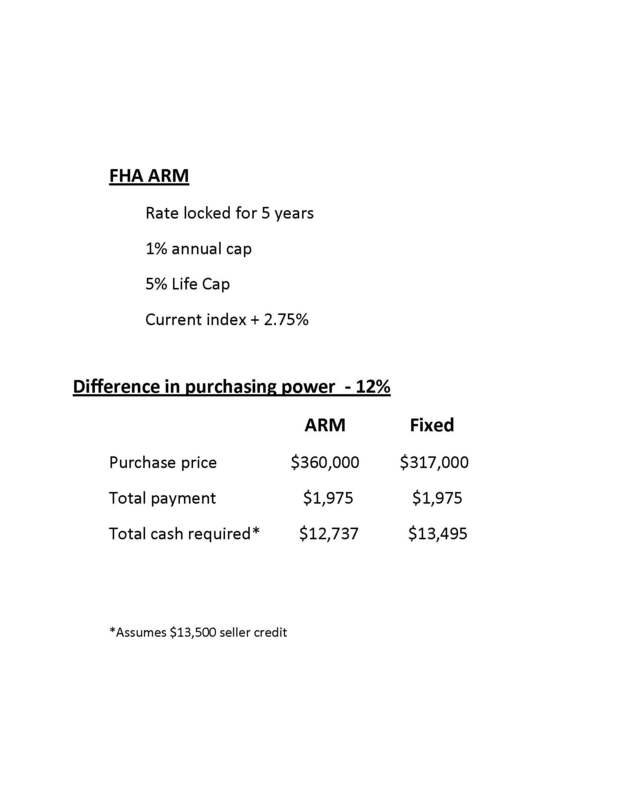 One of the unique features to an FHA ARM is that the adjustment cap after the initial 5 year term is only 1%. 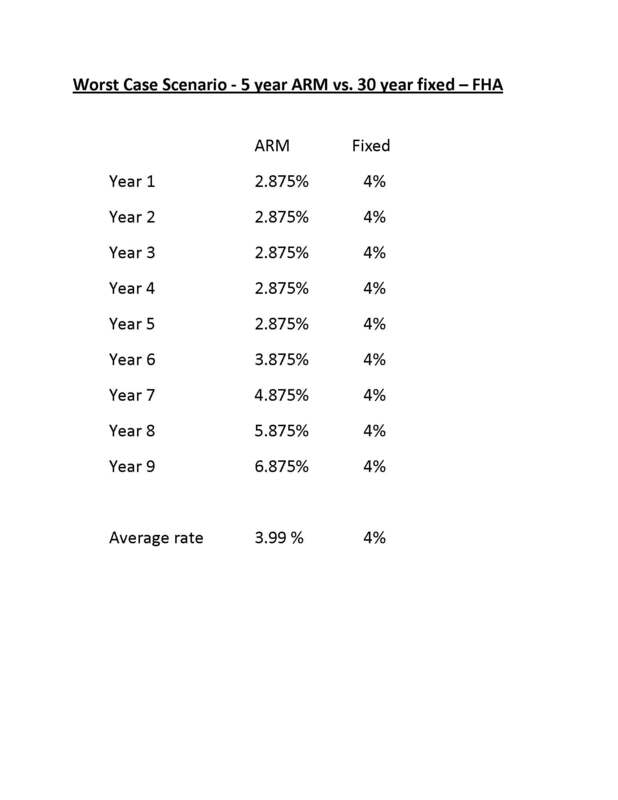 Compare a 5 year ARM at todays’s rate of 2.875% versus a 30 year fixed rate mortgage at 4%. If you assume a worst case scenario, the average interest rate over 9 years is 3.99% on the ARM. Many first time home buyers do not plan on staying in a property more than 5-6 years. The FHA ARM could save them thousands of dollars over this time frame. You can contact Steve or your loan officer to learn more abut FHA ARMs. What Were The Odds of Selling Your Seattle-Eastside Home in July, 2010? July, 2010 3468 homes for sale 501 homes sold 14% odds of selling. July, 2009 3819 homes for sale 516 homes sold 13.5 % odds of selling. June, 2009 3859 homes for sale 563 homes sold 15% odds of selling. *Adjusted from previous month’s numbers to reflect the actual number of homes sold and closed. Each month some sales fall apart and don’t close. A lower number of home sales may be reported at a later date to show the actual number of sales that did close. For the past few months, the absorption rate for all the Seattle-eastside areas has been in the teens, hovering around 13-15%. May, June, and July all had similar absorption rates. Since May of 2009, the number of homes that have sold each month has not varied all that much, with the exception of March and April of this year. March and April had higher sales because of the tax credit. Where we see more of a difference is in the number of homes for sale on Seattle’s eastside. Last year there were 3819 homes for sale in July, 2009. This year there are 10% less homes on the market. But even with less homes on the market, the odds of selling are about the same. 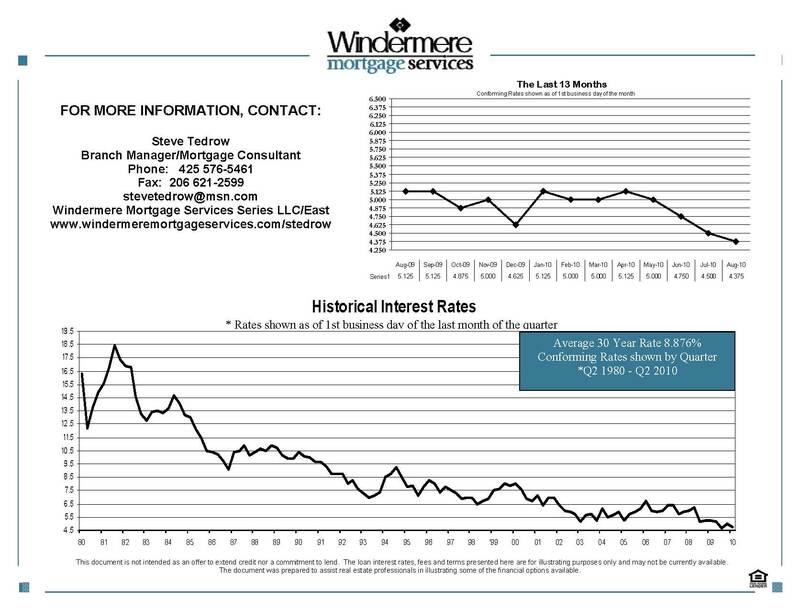 We have the lowest interest rates since 1971. 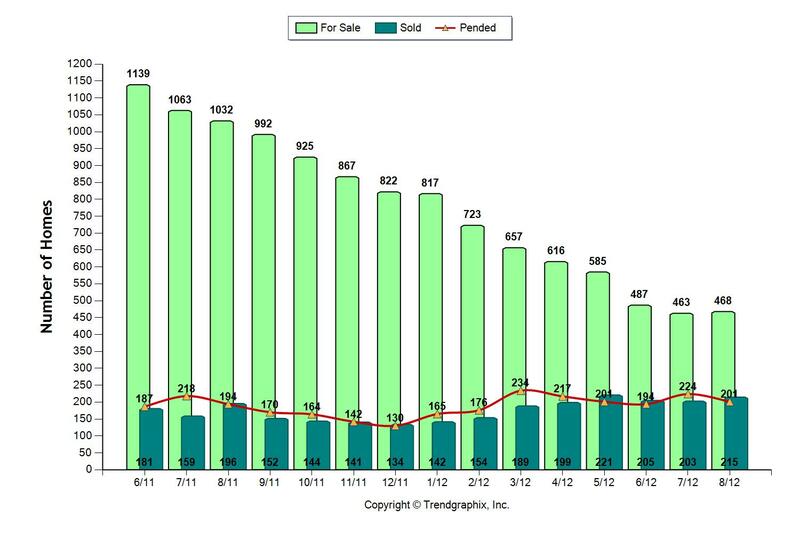 Plus, our Seattle eastside real estate market is clearly a buyers’ market again, since the absorption rate is so low. It’s very obvious when shown on a map of the area. I’ll post a map of the Seattle eastside showing where buyers and sellers markets are located later this week. The reality is, however, that most of the real estate markets are buyers’ markets right now. So why are real estate sales so sluggish? My guess is the “fear factor.” People are still worried about the economy. Plus, with interest rates predicted to remain low for the foreseeable future, there’s also no sense of urgency to buy. Why do you think the Seattle eastside real estate market is slower? This week, there were 14,414 King County homes (houses and condos) for sale. Two weeks ago may have been the peak of the number of homes for sale this year when 14,639 homes were on the market. Home sales on Seattle’s Eastside: down 13%. Best odds of selling: Carnation and Redmond, from downtown to north and east, with 17% of the homes getting accepted offers. Ironically, last month this area had the worst odds of selling at 9%. Worst odds of selling: West Bellevue, with 11.5% of the homes getting accepted offers. Biggest increase in sales from last year: A 5% increase in South Bellevue home sales, which is the biggest increase. Smallest increase in sales from last year: Kirkland, with a 3% increase. There were only two areas with an increase in the number of home sales on Seattle’s eastside. Decline in real estate sales from last year: There was a decline in 5 out of the 7 Seattle-eastside areas with the largest decline in home sales in West Bellevue with a 31% decline in the number of homes sold. 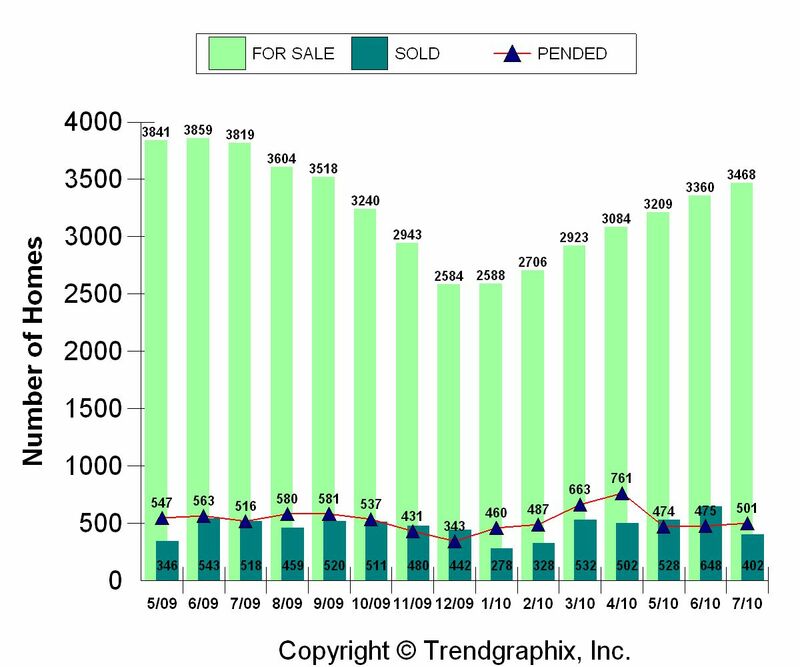 The peak of homes for sale in 2008: July, 4370 homes. The peak of homes for sale in 2009: June, 3859 homes. The number of eastside homes for sale in July, 2010: 3468 homes. For a picture of King County sales, check out The Seattle Times. The headline states sales are down, but prices are up. Keep in mind the headline may not represent each area. Prices are up slightly in some areas, down in others, and sales are down in 5 out of 7 eastside areas. There’s no “red” on the Seattle-eastside real estate map, which means there were no seller’s markets in June, 2010. 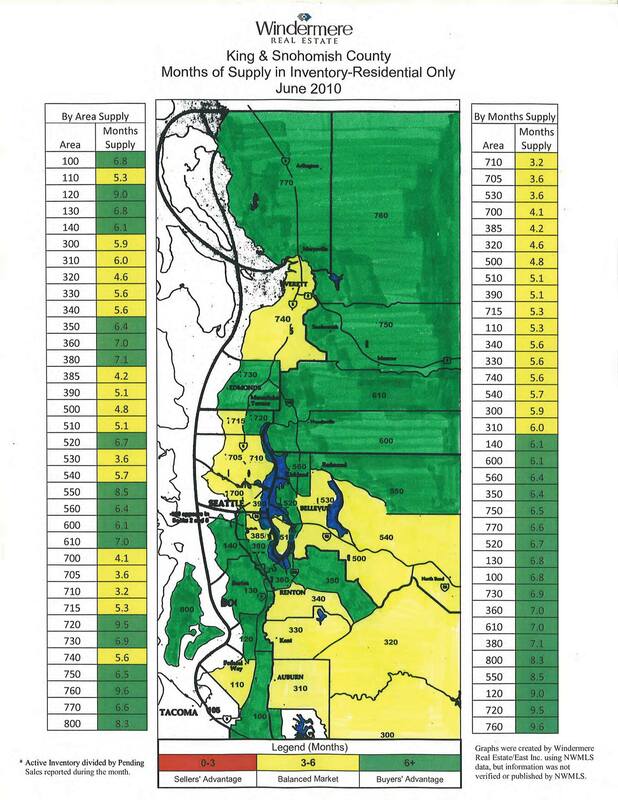 The Seattle-eastside real estate market has turned “yellow” for a market balanced between buyers and sellers, and “green.” “Green” on the map indicates a buyer’s market. It’s not surprising to me that certain areas stay as a balanced real estate market longer than some others. Which Seattle-eastside areas have remained stronger as a balanced market between buyers and sellers? It’s traditionally one of the strongest areas, because homes are so close to jobs at Microsoft. The neighborhoods abut the main Microsoft campus and are an easy commute to downtown Bellevue, the economic hub of the eastside. Plus, housing can be found from the $200’s and $300’s to million+ dollar waterfront. Housing in many neighborhoods is in the affordable range for the area. The area south of I-90 is a big drawing card for Seattle commuters. Again, there’s a variety of home styles and ages, good schools, and a fabulous commute either to eastside economic centers or downtown Seattle. Another area that’s consistently one of the strongest is the plateau areas of Sammamish, Issaquah, Preston, Fall City, and North Bend. The different eastside cities here have a huge variety of homes from estates to acreage to newer construction and town homes. Good schools and some good values keep the area strong. There are still great homes and condos out there to buy and interest rates are at historic lows. The loss of the tax credit may not make much of a difference when calculating the savings in monthly payments over time.